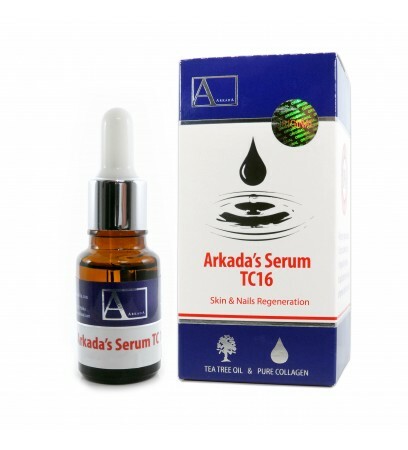 Arkada's Serum TC16 (11ml) is an excellent product made in a process where natural substances and modern scientific technology come together. Glycerine and Melaleuca Alternifolia (Tea Tree Oil). It is antifungal, antibacterial and prevents secondary infections, rebuilds nail plate, cares for acne skin, soothes irritation after waxing, regenerates and softens facial skin. The serum is a skin and nail product. It can also be used to care for the skin surrounding the nail. 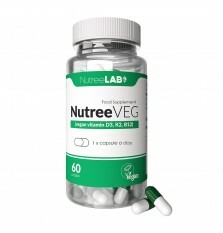 The product contains a high amount of fish collagen and is enriched with tea tree oil. 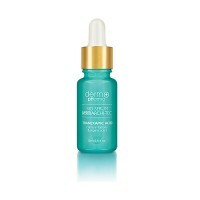 The use of this serum restores the skin and nails and supports their regeneration process. Apply regularly, at least twice a day for best results. The effects will be visible very soon. The collagen is responsible for the correct water balance in the epidermis, ensuring it is moistened and conditioned (soft and smooth). It smoothes out wrinkles, soothes skin inflammation, rebuilds the nailplate, reduces scars, helps in the healing of burns. Tea Tree Oil is an extraordinary cosmetic used to treat infections and bacterial skin problems. Easily absorbable by the skin, its antibacterial properties are most effective against anaerobic acne causing bacteria. 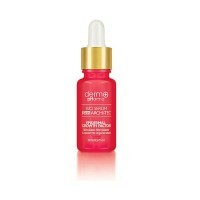 Application: Apply 1-2 drops of the serum using a pipette, then pat into a clean, moist skin 1-3 times every day. The use of an appropriate peeling is also recommended (once or twice a week). 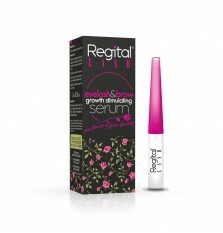 If using the serum to regenerate nails, apply to or/and under the nail plate 1-3 times every day. Recommendations and precautions: The product should not be used by people with acute skin inflammation requiring medical treatment and persons with hypersensivity to any of its ingredients. Avoid contact with eyes. In case of contact with eyes, wash immediately with plenty of cold water. Keep out of reach of children less than 6 years old. The collagen in this product is stable at temperatures between 5*C and 25*C. During use, keep the cosmetic in the styrofoam protective kit included in the package.